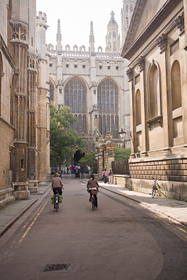 There have been new claims that local people are being priced out of the Cambridge rental and buying market due to people moving to the city on an average ‘medium based’ salary of £35,000 per annum. Jobs website Glassdoor.co.uk reported Cambridge the No.1 city based on cost of living, hiring opportunity and job satisfication. The figure given from average house price in the city as £436,932. Although there are any job opportunities and high job satisfaction in London, the cost of living is expensive.